Last week Steve Brenner and I premiered our video “The Food Police: The Rick Steves Episode”. 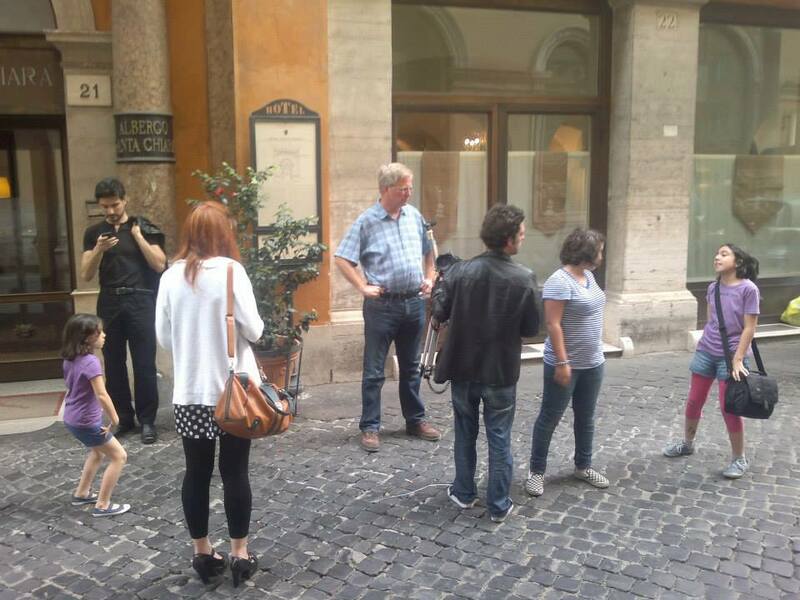 We had such a blast shooting it in Rome and we are so grateful to Rick and his staff for generously promoting it on Facebook and Rick Steves Europe. On the first day 128,000 people viewed our film and 350 posted comments. I tweeted Anthony Bourdain and began stalking George Clooney’s publicist. It was sort of surreal. By the second day the views had fallen-off a bit. They dropped even more by day three. I guess people moved on to watch a YouTube video of Korean pop star PSY. I think that may have been our fifteen minutes of fame. Go to www.foodpolice.it to find out more about us and sign up to see what we’re up to next! I loved this! What a great concept – I am looking forward to the nextone! Fabulous! Take the girls and leave the cannoli! I actually didn’t know about the Godfather allusion. Such a hilarious line coming out of gentle Rick Steves’ mouth. !! Don’t give up on more than 15 minutes of fame. Those films are professional, Toni. Those girls are amazing–never cutesy, always spot on. They were darn sweet. Glad to reblog–too funny to not share. Informative, too. >:-D More more! 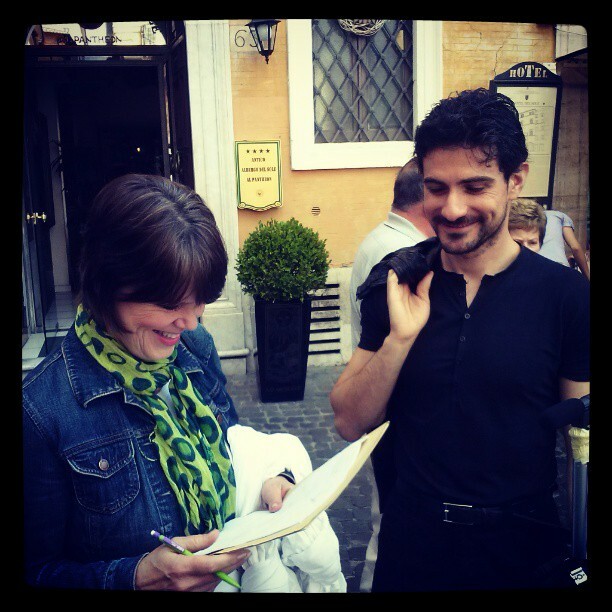 on June 23, 2013 at 11:00 am | Reply reblog: Toni DeBella, Rick Steves, and The Food Police in Italy | Rockin' the Purple! Toni, we watched the “Food Police” videos this morning while fixing breakfast. Great fun, we laughed thru each one. Hi! We just returned from the Rick Steves’ tour, Small towns of Italy. I chose it for my retirement trip because over 10 years, when my husband and I were chaperoning a high school history class European tour, we stopped in Ovieto for about 12 hours. My husband and I were so enchanted we set the alarm for 5 am so we could see more of the town in daylight before the tour left. I vowed to return. And that is how we came to pick this tour. My second visit to Orvieto was even more special. I love that town! We took a short trip to Civita and upon returning, who should we see sitting at a cafe but the man himself. He graciously agreed to pictures. I guess I had an Orvieto or Bust yen myself! Thanks for your blog. Just started following it, hope to more of that magical town. on July 17, 2013 at 6:53 pm | Reply Why Not Girl!Why Not Girl! of the Week: International House Hunter and Travel Writer Toni DeBella - Why Not Girl! HI Toni, I finally got around to clicking on the Steves video. Great! We hope to see you in Orvieto soon.